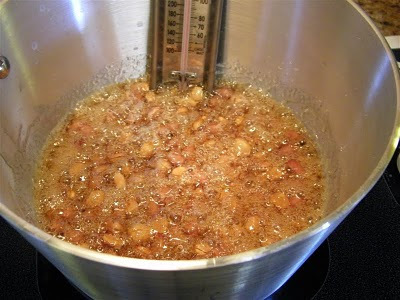 Anyway, I managed to buy more peanuts than I really needed at the store yesterday, so after making a batch of microwave brittle, I thought why not try something new and make a batch on the stove. I wanted to see if I could actually pull it off, and I thought it would be fun to have a little taste test! We are iced and snowed in today (nothing like the blizzard some people are expecting, but bad weather for us!! ), so I figured why not spend the day cooking (and blogging!). 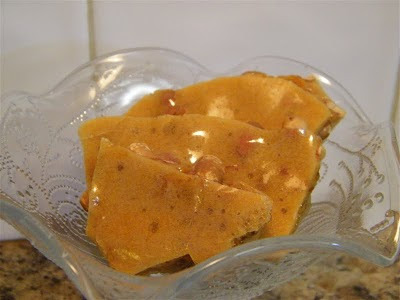 I can remember being at my grandmother's house and "helping" her make the peanut brittle every year. She may have had a recipe, but I'm not entirely sure about that. I do know that she never used a candy thermometer. She tried to teach me how to tell what stage it was at, but I didn't trust myself, so I pulled out my thermometer (that admittedly I haven't even used before!). She hasn't been able to make any candy in several years, so that was one reason I searched out the microwave recipe in the first place. 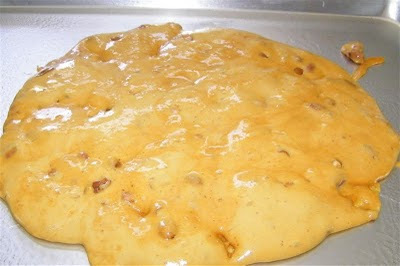 It's not Christmas without peanut brittle (or pecan pralines, but I haven't mastered that one...yet). I will definitely say that the microwave recipe is the way to go if you're pressed for time. Quick and easy would be the words to describe that one. However, it was fun and satisfying to make it the traditional way, even if it did take a lot longer. How did the taste test go? Sprout liked both versions (he ate some of the tiny pieces of candy without nuts in them). Munchkin refused to participate in the test. D and I both agreed that while the microwave brittle was good, the traditional brittle won hands down. I have to admit, I'm proud of myself!! 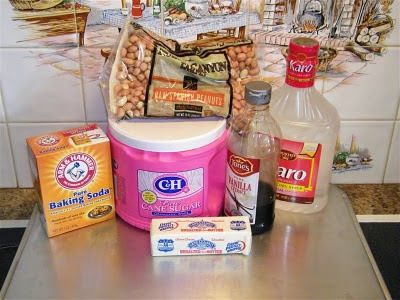 In a large microwave safe bowl add sugar, peanuts and corn syrup. Microwave on high for 4 minutes. Remove and stir. Microwave an additional 3 minutes. Remove, add butter and stir. Microwave 2 minutes longer. Remove, add vanilla and baking soda and stir. 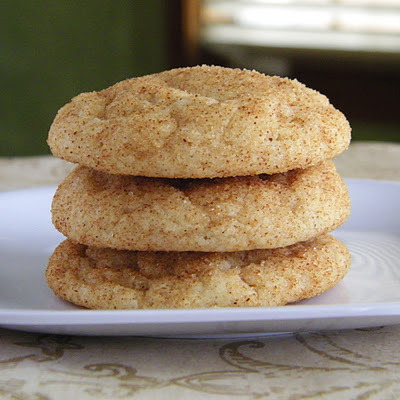 Pour onto a greased cookie sheet and spread with a spoon until thin. Let peanut brittle cool completely and break into pieces. Note: cooking times will vary depending on your microwave. Mine is pretty powerful and I have to decrease the cooking time or it will overcook. Watch the color of the sugar mixture and how it smells, and you will learn exactly how long to cook it in your microwave. Heat and stir sugar, syrup and water in a heavy 3-quart saucepan until the sugar dissolves. Cook over medium heat the soft ball stage (234'F). Add nuts and salt. Cook to hard crack stage (305'F), stirring often. Remove from heat. 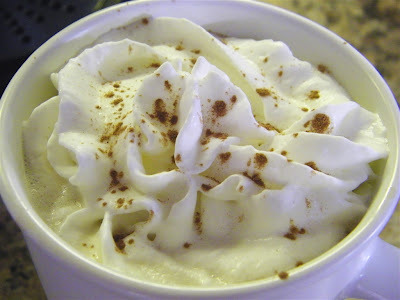 Quickly stir in butter, vanilla and baking soda. Pour at once onto a well-greased sheet pan (or two, depending on the size of your pans), spreading with a spatula. Let cool and break into pieces.